How do I sync data between two Load balanced Linux / UNIX servers? However, one frequently asked question is how to keep your webpages (HTML/PHP/PERL scripts) synchronized with each server. For example if you create a new web page called viewnews.php on one www2 server, how does new page get copied over to the second server www1? 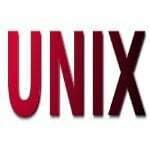 You can use rsync – a network file distribution/synchronization utility on Unixish (Linux, FreeBSD, Solaris etc) systems. It does not simply send new files; it updates all files by sending only changed files. This saves time. How do I use rsync command? If you are going to use rsync command from cron job/shell script, generate ssh keys for password less login over ssh. See official rsync site for more complex examples. So, and what will you do if your load balancer will point user to another server and dymanical script will change some data, which will be deleted due to syncronization…? If you have a “load-balanced” server config, and have to sync them, this will not do the job. File 2 updated on server b.
one of the files get’s ‘corrected’ with the data from the other server (either file 1 and 2 come from server a and overwrite server b, or they come from server b and overwrite server a’s copies). (1) Query your Load Balancer API and get the IP address of individual nodes. Then loop through the nodes and rsycn directly to each. (2) Perform the rsync as a “pull” from A and B from to the Master, rather than a push from Master through the load balancer to A and B. Previous post: Previous post: How can I enable or setup log message in the iptables firewall? Next post: Next post: How does query caching in MySQL works and how to find find out my MySQL query cache is working or not?